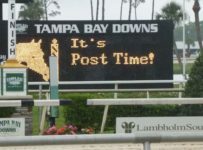 Editor’s Note: Steven Buckner has joined HorseracingFLA as Tampa Bay correspondent. This story and the accompanying photos are the first of the regular reports you will see from Steven. He is based in Clearwater and has a freelance photography business with a client base that includes the Tampa Tribune, United Press International and the DeLand Sun News. 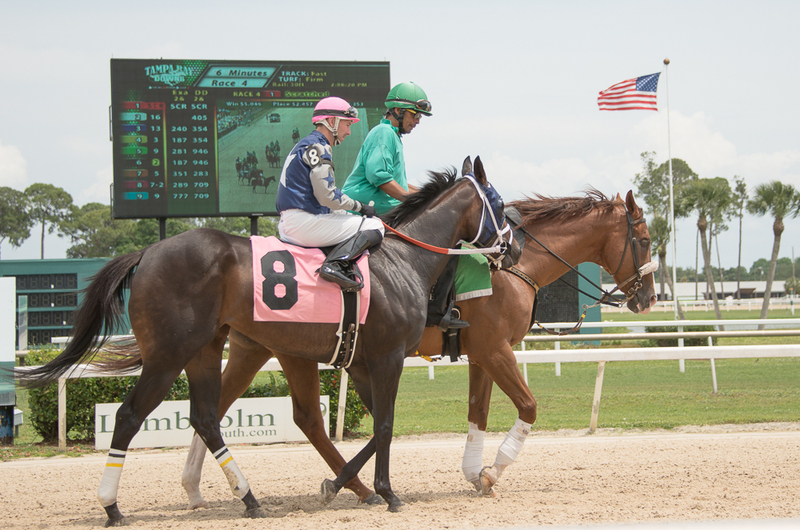 Again this season, Tampa Bay Downs is showing how a track can keep building a racing program that attracts strong national attention while still keeping a traditional day at the races atmosphere. 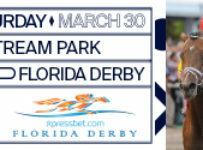 On Sunday April 19, we chronicled a day that in many ways was typical of what fans on site and fans betting via simulcasts and Advance Deposit Wagering are finding at the Oldsmar oval. 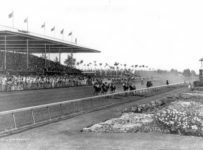 A crowd that the track’s management estimated at 3,200 watched ten races on a sunny afternoon with temperatures in the mid 80s. Four of Sunday’s races were on the turf course, which has held up well during the season that began Nov. 29. 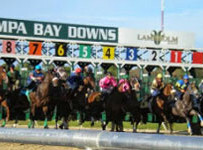 Tampa Bay Downs (TBD) put in its turf course in 1998, and +that has helped it gain popularity among the country’s bettors. 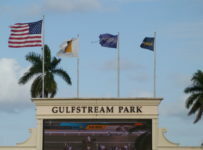 During the winter most tracks outside of Florida, California and several other mild-weather states have ground that is too soft and wet for turf racing. 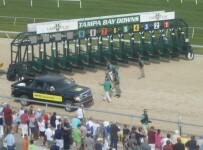 Turf races at TBD often have ten or more horses. 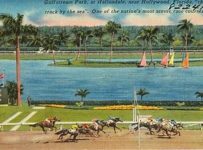 Those large fields are attractive to bettors seeking big payoffs. Thus, turf racing is a main reason why TBD does more than $4 million in all-sources handle most days between January and March. 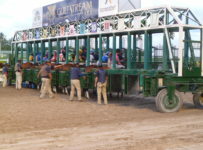 TBD’s track has a base with more sand than most other tracks and is generally regarded as one of the country’s deepest and safest for horses. 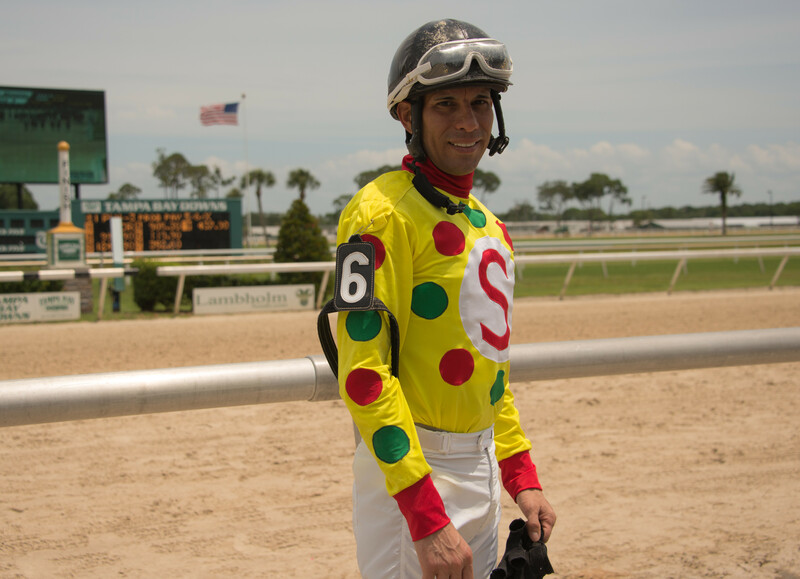 On Sunday, five-time champion Tampa Bay jockey Daniel Centeno (one winner on dirt (Really Good Guy in the third race) and one winner on turf (Corinthian Summer in the tenth). The day’s biggest margin of victory was in the fourth race, with Bluesville beating runner-up Mo Mon’s Copycat by 8 ¼ lengths. 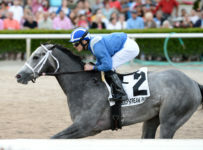 Bluesville rallied from fifth place after a half mile and won the one mile turf race for fillies and mares in 1:37.08. He was ridden my Mike Allen for trainer Kathleen O’Connell and owner DiBello Racing. Live handle was $181,957, according to Equibase charts. 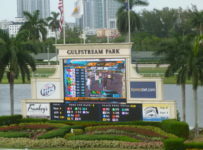 An additional $2,948,634 was wagered on TBD races by bettors at simulcast sites including pari-mutuels in Florida and other states, off-track betting sites in other states and Las Vegas sports books as well as with legal computer and phone betting services. That added up to all-sources handle of $3,130,591. That put TBD fifth in wagers among the country’s thoroughbred tracks. It trailed Santa Anita, Gulfstream Park, Aqueduct and Keeneland. 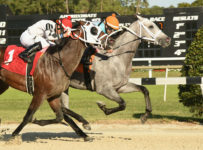 Race fans can place bets on TBD races and with simulcasting also are able to make bets on horses racing around the country. 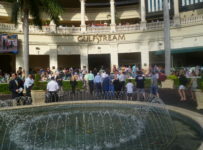 Simulcast betting is easy and fun via large video screens covering the other races. Fans were either indoors in comfortable air conditioning or outdoors with fresh air and a cooling breeze. Food and drinks were available in several convenient locations ranging from casual fare to white linen table top service. The Silks Poker Room is open on dark days as well as on race days. 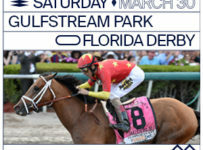 Only seven race days are left, including closing day Sunday May 3 and Saturday May 2 when TBD will have simulcast betting on the Kentucky Derby. 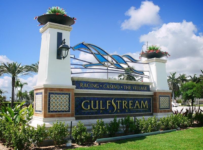 After a day at Tampa Bay Downs our view is that you owe it to yourself to get out and experience a unique sporting event that has been in the area since 1926. Grab a program early, place your bets and have a great time.